Lace and Julian's big brother, Elliott, has just returned from his mission, and they're excited—excited that he's home and excited to learn about how to prepare to be great missionaries themselves. And there's a lot to do—they had no idea how much goes into becoming a good missionary. From dressing the part to talking to people to learning how to clean and cook, Julian and Lacey discover the challenges and the rewards of preparing to serve a mission. Follow their adventures as they learn all about missionary work and what they can do now to become great missionaries when they grow up. Merrilee Boyack is a popular speaker and author of several books, including When I'm a Missionary (an illustrated book for children); The Parenting Breakthrough; In Trying Times, Just Keep Trying; Will My Child Be Ready? and 12 Gifts for Christ. She is an estate-planning attorney in Utah and California and lives in Lehi, Utah. Brian Call is an illustrator and an educator. He lives and works in Ammon, Idaho, with his wife and kids. Brian served as a missionary in Puerto Rico and loved the time he spent sharing the gospel with the people there. Now his kids are growing up and leaving home to serve missions of their own. 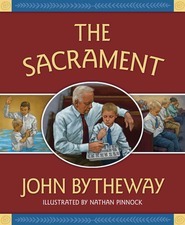 Brian has illustrated Practicing for Heaven, Illustrated Book of Mormon Stories, and Illustrated Bible Stories for Latter-day Saints and many other books. Brian also shares his love of drawing as a teacher in the art department at BYU-Idaho. Lacey and Julian's brother Elliott is home from his mission and they are excited to see him. They also both declare that they are going to be missionaries one day and ask Elliott to teach them how be missionaries. Throughout the book, they question him, the missionaries, their parents, grandparents, and aunt and uncle on different areas and start working on the skills they will need to be successful. What I like is that the things that are mentioned are things children can work on a little bit at a time. I read this book with my children because I wanted to hear their thoughts on it. As we read through the book, they were interested and then at the end, my daughter said that a mission seems like a lot of work! It is, but I told her that Lacey and Julian didn't prepare in a day, but rather over time. She felt relieved and she is already doing a lot of these things but there are areas where we need some work. There's a section at the very end titled, "Helps for Parents" and there are some great ideas for parents to help children now, like dressing appropriately, marking scriptures, talking to people, learning to talk about Jesus, giving service, learning to get along with others and trying no matter what. The illustrations add to the story as they reinforce the ideas that are discussed and help children see that they can prepare now to be missionaries! Great teaching and learning book. 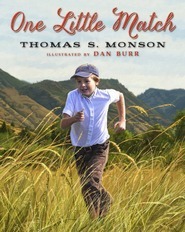 For LDS parents who are looking for a resource to use in helping their children understand the importance of preparing for a mission, this is a great book. While told in story form, the book is clearly intended to teach young readers/listeners about twelve different ways that he/she can prepare to be the best missionary he/she can be. These areas of emphasis include learning to take care of oneself, serving, inviting others to church, studying the scriptures, following rules, and becoming a hard worker. The story of Lace and Julian's brother coming home provides the framework for the two kids learning about becoming missionaries themselves. The illustrations are beautiful and nicely highlight each of the activities the children engage in. 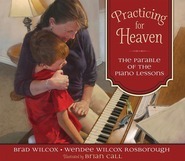 A nice book for families where missionary service is valued.